The anthracycline (AC) group of drugs is widely used for cancer chemotherapy and has improved outcomes in many childhood malignancies. However, cardiovascular complications are major causes of morbidity and mortality in AC recipients, with the greatest risk factor being a higher cumulative dosage. 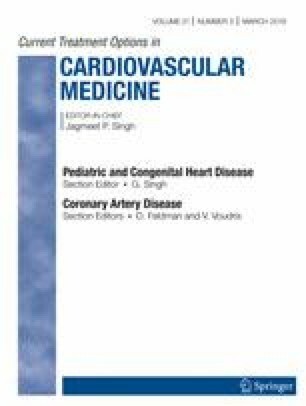 The purpose of this review is to describe the etio-pathogenesis and risk factors of AC induced cardiotoxicity, with emphasis on currently available and emerging modalities of non-invasive imaging in its surveillance, and to review guidelines on its prevention and treatment. Presently, ejection fraction and shortening fraction derived from two-dimensional echocardiography are the most widely used parameter for monitoring of cardiac function in childhood cancer survivors. The newer speckle tracking echocardiography has shown potential to detect abnormalities in ventricular function prior to the conventional measures such as ejection fraction and shortening fraction. When available, three-dimensional echocardiography should be used as it allows for more accurate estimation of ejection fraction. Newer magnetic resonance imaging (MRI) techniques, such as delayed enhancement and T1 mapping, are useful adjuncts for cardiac evaluation in cancer survivors, especially in patients with poor echocardiographic windows. Early detection and management of cardiovascular diseases is one of the major goals in the long-term follow-up of childhood cancer survivors. In addition to conventional two-dimensional echocardiography, newer techniques such as speckle tracking echocardiography and three-dimensional echocardiography should be incorporated due to its ability to detect early changes in anthracycline-induced cardiotoxicity. However further research are needed to guide changes in management due to abnormalities in speckle tracking echocardiography. Institute NC. Childhood Cancer Survivor Study: an overview https://www.cancer.gov/types/childhood-cancers/ccss. 2018 Accessed December 19, 2018.